Alvin’s Auto Recycling has been in business since 1985 and is dedicated to providing you with the parts that you need for a price that you can afford. Not only do we have a large selection of glass, engines, transmissions and suspension parts, but the majority of our parts are already dismantled and are ready for delivery and shipping today. You can search our vast inventory for the parts that you need and buy now right here. We provide a 90 day warranty on most of our parts, and we will do our best to help you locate the used auto part that you need if we do not already have it in stock. If you are looking to sell a car or truck, you can contact us today; not only do we buy cars and trucks, but we also offer same-day pickup services with our in-house tow trucks. We also have cars that are just to good to dismantle, so if you are in the market to purchase a vehicle, you should contact us at 510-658-3101 to find out about our current inventory. 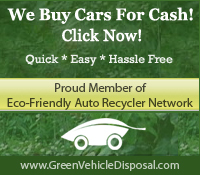 Alvin’s Auto Recycling is dedicated to providing you with the best services in the area. Contact us today to find out how we can help you with all of your auto and truck part needs or to get rid of an old vehicle that you no longer want, and make sure to check us out on Yelp!